Believe it or not, the history of football does not begin and end with the National Football League. Now, don’t get me wrong, I love the NFL. But keep in mind that while the NFL may stand alone at the top of the football mountain, there are, and have been, many other football leagues that have brought a great deal of excitement, entertainment and innovations to the game. The Canadian Football League can trace its roots all the way back to 1861. Back in the 1800’s, however, football was more like rugby than today’s version of football. Some of the earliest CFL teams are still around today. One of them is the Toronto Argonauts, which was founded in 1873. In 1909, Lord Earl Grey, then Governor-General of Canada, first awarded the Grey Cup trophy to the CFL champion. The first college football game in America was played on November 6, 1869. In that game, Rutgers defeated Princeton 6-4. (Scoring was different back then) College football was instrumental in refining the game into what we know today. They developed the forward pass and also standardized the size and layout of the playing field. The first ever college bowl game was played in 1902. Michigan defeated Stanford 49-0 in the Pasadena Bowl, which became known as the Rose Bowl in 1917. The first football superstars also came from college football. People all over the country were following the exploits of The Four Horsemen of Notre Dame, Knute Rockne, Jim Thorpe, Red Grange and Amos Alonzo Stagg. Pro football didn’t debut in America until 1920. That’s when the American Professional Football Association debuted. In 1922 it became known as the National Football League. Three of its original franchises were the Canton (Ohio) Bulldogs and the Akron (Ohio) Pros in 1920, the Green Bay Packers and Chicago Cardinals in 1921 and the Chicago Bears in 1922. Is it any wonder that the Pro Football Hall of Fame is today located in Canton, Ohio? Professional football in America was not a huge fan favorite when it debuted. It was viewed as a poor imitation of the popular college game. For that reason, many college superstars never went on to play professional football. Eventually, big name college players did make the transition to the pro game and that’s when fans started to take notice. Pro football finally began to flourish and developed its own superstars, rivalries and traditions. Over the next 40 years, the NFL became a huge fan favorite all over the country. The first major challenge to the NFL didn’t come along until 1960 when the American Football League debuted. The AFL competed directly with the NFL in the fall for fans and players. They offered a more wide-open style of offense featuring lots of passing and scoring. Fans liked it. At the time, the conservative NFL game was more run oriented and emphasized ball control and defense. The AFL also had an optional 2-point conversion after a touchdown. (The NFL didn’t adopt the 2-point conversion until 1994!) They also were the first league to put player's names on the backs of their jerseys. The AFL even dared to take the NFL to court and charged them with being a monopoly. They lost the case. In 1967, the two leagues met on the playing field for the first time in the NFL-AFL Championship game, which later became known as the Super Bowl. When the NFL realized that the AFL was not going to go away, the NFL came to the conclusion, "If you can’t beat ‘em, join ‘em." The two leagues officially merged in 1970. There were actually three other leagues that tried to challenge the NFL before the American Football League in 1960. Ironically, they were all also called the American Football League! There was an AFL for one season in 1926. When they folded, one team was absorbed into the NFL, the New York Yankees. The second AFL lasted two season, 1936-1937. Once again, one team was absorbed into the NFL, the Cleveland Rams, who eventually moved to Los Angeles in 1946. The third AFL also lasted two seasons, 1940-1941. The league suspended operation when the United States entered World War II with the intention of starting up again after the war, but they never did. 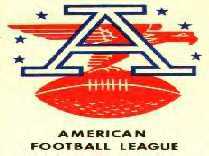 Yet another league, the All-American Football Conference, lasted four seasons, 1946-1949. The Cleveland Brown dominated the upstart league and won all four of their championships. When the league folded, three teams were absorbed into the NFL in 1950, the Browns, San Francisco 49ers and the Baltimore Colts. The next challenger to the NFL’s fall football supremacy came in 1974 in the form of the World Football League. The financially struggling WFL pulled off a major publicity coup between their first and second seasons when 3 Miami Dolphins stars, WR Paul Warfield, FB Larry Csonka and HB Jim Kiick, each signed 3 year, $3 million contracts with the new league. The Dolphins had just won their second straight Super Bowl a few months earlier. All 3 former Dolphins were playing for the Memphis Southmen when the league folded due to financial problems 11 games into its second season. The WFL did leave its mark on the sport, however. They were the first pro football league to have a franchise in Hawaii, and they also had what they called, the Action Point. After scoring a touchdown, which was worth 7 points instead of 6, teams had to either run or passed for the extra point. They played a 20 game regular season schedule and the championship game was called the World Bowl. Next came the springtime United States Football League in 1983. They played during the NFL off-season so they wouldn’t be directly competing with the NFL juggernaut. This also allowed them to play in some of the same stadiums as NFL teams. They signed many young players away from the NFL by offering them huge contracts. Three consecutive Heisman Trophy winners signed with the USFL, RB Herschel Walker, RB Mike Rozier and QB Doug Flutie. QB’s Steve Young, Jim Kelly and Bobby Herbert, as well as DE Reggie White all got their start in the USFL. In 1984, Steve Young's $40 Million lifetime contract with the Los Angeles Express was the richest in sports history. The league played an 18 game schedule and was the first to use instant replay. In its third and final season, coaches could challenge 2 calls per half. They threw a red flag onto the field to challenge a call. The referee would then go to the sidelines and talk to another official in the replay booth by phone. The replay official could overrule the call on the field if the replay showed that the call on the field was in error. The financially struggling USFL also took the NFL to court accusing them of being a monopoly. 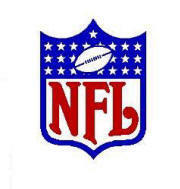 Unlike the AFL court case, however, the jury agreed with the USFL and determined that the NFL was a monopoly. The league was expecting a huge financial settlement as a result of the lawsuit that would have enabled them to stay in business. Also, after 3 seasons, many USFL owners felt that they could now go head to head with the NFL in the fall and had voted to switch to a fall schedule beginning in 1986. However, the jury awarded the USFL only $1 in compensation and the league folded after the 1985 season. 1987 brought a whole new brand of springtime football onto the scene, the Arena Football League. League founder, James F. Foster, developed the idea for the game while he was attending the Major Indoor Soccer League All-Star game at Madison Square Garden on February 11, 1981. Foster, a promotions manager for NFL properties at the time, drew a sketch of the field and made several notes on a manila folder during the game. The Arena Football League had only 4 teams the first season and has never been seen as a threat to the NFL because it is played on a 50-yard field with 8 players per team. One of the most interesting aspects of Arena football was that 6 of the 8 players on the field were required to play both offense and defense. That meant that the offensive linemen were also defensive linemen, the running back also played linebacker and wide receivers doubled as defensive backs. But that all changed in 2007 when the league's board of directors voted to allow unlimited substitutions during games. The AFL was so successful that in 2000 it spawned its own minor league, the 15-team arenafootball2. The af2 league plays in smaller cities and arenas than the Arena league. In 2001, the Arena Football League had 19 teams, 18 in the U.S. and a new team that year in Toronto, Canada. The af2 expanded to 28 teams, making a total of 47 Arena franchises. That same year, NFL owners voted to allow themselves ownership of Arena franchises in their own markets. The NFL started its own springtime league in 1991 when the World League of American Football began play. The 10-team league featured 6 teams in the United States, one in Canada and 3 in Europe. The Montreal Machine became the first American football franchise placed in Canada along with three European teams, the London Monarchs, Barcelona Dragons and Frankfurt Galaxy. The intent of the WLAF was to give NFL backup players, who saw little or no playing time in the fall, as well as some NFL wannabe’s, a chance to get valuable playing experience. At the same time, the NFL wanted to extend its presence on a global scale. One innovation the WLAF experimented with was placing tiny video cameras in player’s helmets. These cameras provided TV viewers at home a glimpse of what the players saw and experienced during the game. The league ceased operations after only 2 seasons, but returned to play in 1995 with only six teams, all in Europe. In 1998, the league changed its name to NFL Europe and in 2006 it was changed again to NFL Europa, to reflect a more European influence. The NFL folded the league after the 2007 season, saying it wanted to concentrate its efforts on promoting its upcoming regular season games overseas. Their League championship game was called the World Bowl. Déjà vu, anyone? In 1993, the Canadian Football League placed its first ever expansion team in the United States, The Sacramento Gold Miners. The following year, 3 more CFL teams began playing in the states and in 1995, there were 5 CFL teams making up the CFL South Division. The Baltimore franchise was known as the Baltimore CFL Colts when it debuted in 1994, but the NFL took them to court and forced them to stop using the name Colts. For the rest of the season, they were simply known as the Baltimore Football Club. In 1995, the team became officially known as the Baltimore Stallions. They will go down in football history as the only U.S. team to ever win the CFL Grey Cup. In 1995, Baltimore defeated the Calgary Stampeders, led by Heisman Trophy QB Doug Flutie, 37-20. The following year, all of the U.S. teams were discontinued and the league went back to an all Canada format. It was a matter of too much expansion, too fast, for the CFL. The Baltimore Stallions were moved to Montreal and became the Alouettes, a team that had folded from the CFL in 1987. In all, there were 7 different CFL teams in the U.S. between 1993 and 1995: Baltimore, Birmingham, Las Vegas, Memphis, Sacramento, San Antonio, and Shreveport. The Canadian game is somewhat different from the NFL game. It is played on a 110-yard field with 20-yard end zones, 3 downs to go 10 yards and 12 players on the field per team. They play an 18 game regular season schedule and 2 pre-season games. 2001 brought the Xtreme Football League. The XFL season began in February on the same day that the NFL was playing the Pro Bowl All-Star game in Hawaii. The championship game, a.k.a. The Million Dollar Game, was in April on the same day as the NFL Draft. The league came about because NBC had been shut out of recent NFL television deals and they were looking to fill a football void in their sports programming. They partnered with the World Wrestling Federation in an all access style of football tailor made for television. There were cameramen on the field and in the huddle during the game, remote control cameras were sometimes suspended above the field and there were microphones on players and coaches. Cameras were also allowed in the locker rooms at halftime and after the game. Players were also interviewed on the sidelines during the games. The whole league went from concept to kickoff in just one year, an incredibly short amount of time. The 8 XFL teams played a 10 game regular season schedule with no pre-season, other than a few scrimmages. No player made over $50,000 for the season, yet there was a good mix of former NFL players (some with Super Bowl rings) and also unknown players on team rosters. The league folded after only one season when NBC and the WWF reported losses in the neighborhood of $35 million each. A lot of people saw the XFL as a joke, mainly because there was too much of a WWF influence. The same ring announcers that commentated at wrestling matches also called some of the XFL games on TV. The league should have taken the game more seriously. On the other hand, I thought some of their rules and innovations were very inventive. I loved the red and black football. They pushed the envelope, so to speak, and league president Vince McMahon even referred to the NFL as the No Fun League. One thing I really enjoyed was when the announcers would shut up for a series of downs and all the audio came from the field. You heard the coach call in the plays via radio from the sideline directly to the quarterback’s helmet. Then you heard the quarterback call the play to his teammates as well as other conversations going on in the huddle and the rest of the action on the field during play. It really showed the potential that technology could have on the game of football. In the 1980’s, the NFL broadcast a game with no announcers but that was kind of a flop because the technology and the television graphics simply were not available at the time. Before the announcement that the league was folding, there was talk of adding 2 more teams in the second season, Detroit and Washington, D. C.
Once the Arena Football League showed the world that football could be played indoors in hockey arenas, the imitators began to appear. First to come along was the Indoor Professional Football league in 1998. It was around for three seasons and folded in 2000. The Indoor Football League was next in 1999. They were around for two seasons and then the league was purchased by arenafootball2. Only two franchises actually survived to become af2 teams in 2001, the Peoria Pirates and the Lincoln Lightning. The National Indoor Football League came along in 2001. It swelled to as many as 30 teams at one time but was plagued by bad owners and bad decisions by the league office. It disappeared after the 2007 season. In 2004, the Intense Football League made its debut with 6 teams, all in Texas. After one season, one team folded, one team went to to the af2 and the other four joined the NIFL. But in 2006, the four NIFL teams decided to reform the Intense league and added a few other teams as well. In 2005, several NIFL teams decided to break away and form their own league. The new 8-team league became known as United Indoor Football. Also in 2005, the Atlantic Indoor Football League was born. The league changed its name to the American Indoor Football League in 2006 and in 2007, the league changed its name again to the American Indoor Football Association. Another indoor football league came along in 2006 that had a different take on the indoor game. The Great Lakes Indoor Football League chose to play 7-on-7 as opposed to the 8-on-8 game that every other indoor league was playing. The league started out with six teams, all in states that bordered the Great Lakes. In 2007, the league expanded to 14 teams and changed its name to the Continental Indoor Football League. 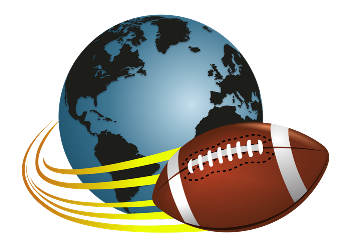 In 2007, the World Indoor Football League debuted, which was made up of four teams that left the NIFL and AIFL. Unfortunately, the league only lasted one season. After the 2008 season, the UIF and the Intense Football League agreed to merge, forming a new league that would once again be called the Indoor Football League. There have also been several Women’s football leagues that have become popular as well. Some high schools and colleges in the U.S. and Canada play 6 and 8 man football because their student enrollment is so small that they can’t field a regulation size 11-man team, yet they still feel its that important to offer a football program. So you see, the history of football has been filled with many twists and turns over the past century. Some were good and some were not so good. What does the future hold in store for the game of football? Only time will tell.